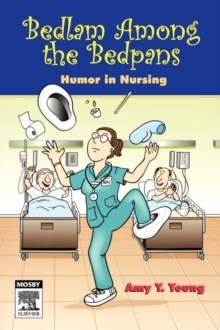 This book is a unique compilation of creative, humorous writings that bring levity to the serious and challenging world of the nursing profession. The engaging and funny articles in this new publication are filled with insights into the diverse situations and issues that confront nursing students and nursing professionals every day. The title includes over 100 pieces of whimsical and witty writings by or about nurses such as "Lookin' Good but Feelin' Bad. Amusing cartoons and illustrations are included for more human interest! This book is an excellent gift for nursing students and others in the nursing and health-related professionsIncludes some of the best pieces of creative and humorous writing published in the past 20 years. Stories that help nurses see the humor in challenging situations they encounter every day. Funny cartoons and illustrations that add even more humor to the book. Compiled by an academic librarian, this book includes a carefully chosen and well-rounded collection of entertaining stories.